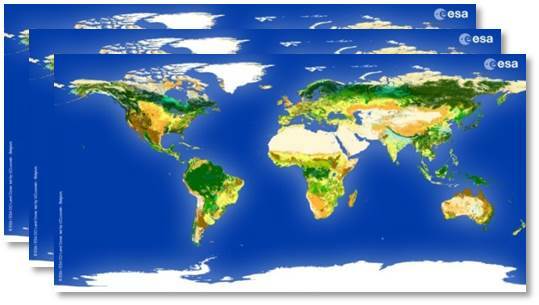 The Land Cover CCI project Phase 1 was kicked off on August, 1st, 2010 and formally closed on October 1, 2014, with the release of the Phase 1 productst to the external scientific community. The project Phase 2 officially started on March 1, 2014 and is also scheduled for three years. This second phase will continue the Phase 1 efforts for the generation of long-term, consistent, global data records for each ECV, exploiting the full range of available data sets from ESA and relevant European missions. 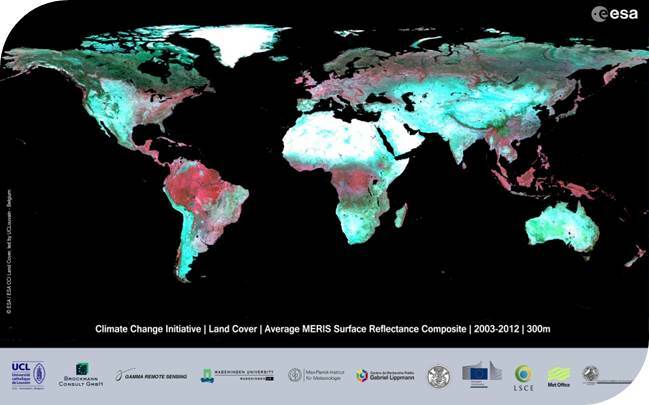 Each CCI project should aim at issuing extended and improved globally consistent ECV data sets, with further progress towards the GCOS and related user requirements.This means that the prototype ECV production systems implemented in CCI phase 1 must be developed to a sustainable level, based on complete requirements specified and thoroughly validated by the competent science communities during phase 1. These system requirements must be updated to take account of the availability of new and upcoming missions (e.g. 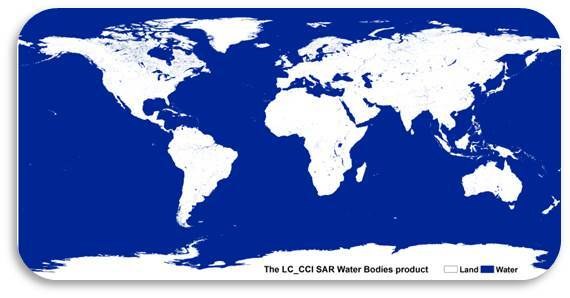 Landsat-8, Sentinels, ALOS-2, PROBA-V) and evolution to meet industry level standards for operations, maintenance, evolution and configuration control. This Phase 2 project will follow an iterative life-cycle, of concurrent development and operations. 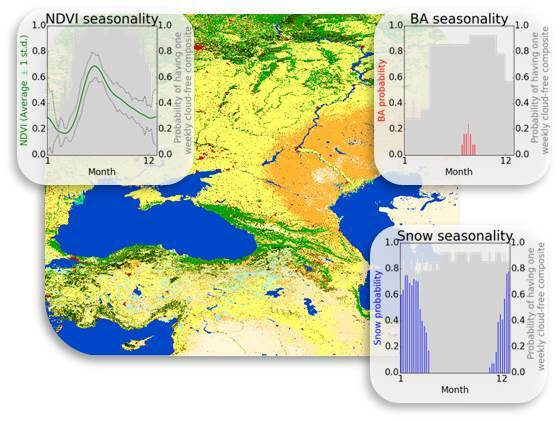 The outputs of the CCI-LC Phase 2 project concern global SR time series, global LC maps, global LC seasonality products and a global water bodies product, all of them being delivered along with metadata. 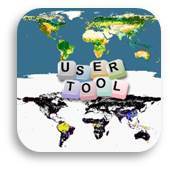 The outputs also include software systems, products documentation and validation reports.